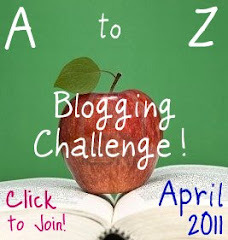 Today is the fifteenth day of the A-Z Blogging Challenge. Just to remind you, I’m doing an A-Z of human emotions, feelings and mental states.Today is the letter O and what better word to choose than Optimism? The Oxford English Dictionary defines optimism as having “hopefulness and confidence about the future or successful outcome of something; a tendency to take a favourable or hopeful view.” In other words, you always expect the best outcome in any given situation. Optimists are the ones who seem to look on the bright side of life, see the silver lining to every cloud and see the glass as half full rather than half empty. Sir Winston Churchill said ‘a pessimist sees the difficulty in every opportunity; an optimist sees the opportunity in every difficulty.’ What do you see? You can find out whether you are classed as an optimist or not by taking the Life Orientation Test designed by Scheier and Carver (1985). Research seems to suggest that being optimistic is good for your health. Healthcare professionals suggest that it can help to relieve stress and its symptoms, prevent illness, minimise the severity and duration of illness and reduce chances of relapse. However, this correlation could just be due to the fact that optimists would rate their suffering as less compared to pessimists. But even if it does not directly affect our health, optimism can effect the way we percieve it and the way we choose to cope with illness. It can also provide us with the tools to cope with difficult points in our lives such as losing our job, seperating from our partner or bereavement. Optimists are much more likely to think that ‘everything happens for a reason’ and that ‘things will work out in the end’. So instead of giving up on love or happiness and falling into depression they are intent on facing problems head on with active and constructive steps until they find a solution to their problems. Optimism has also been linked to better performance at work and in sports. It seems that those who are full of confidence and believe they have what it takes to succeed are more likely to perform well. Optimists are also usually more happy overall as they are well liked, attract lots of optimistic friends who boost their confidence and they’re more likely to take on opportunities that are out of their comfort zone. But what if you are naturally a pessimist? Can you ever learn to be optimistic? Psychologists claim that to a certain extent you can. It can take a long time and involves steps such as letting go of the assumption that the world is against you, understanding that the past does not equal the future and remembering that life is short. They recommend using positive affirmations i.e repeating positive phrases like ‘anything is possible’ until you start to believe them. But being overly optimistic isn’t good for you either. If you are too optimistic and not realistic about life you can set yourself up for great disappointments. The idea is to strive towards a balanced optimism where you rationally take the good with the bad. If you prepare for the worst but hope for the best you are on the right track. Are you an optimist or a pessimist and how does that influence the way you live your life?